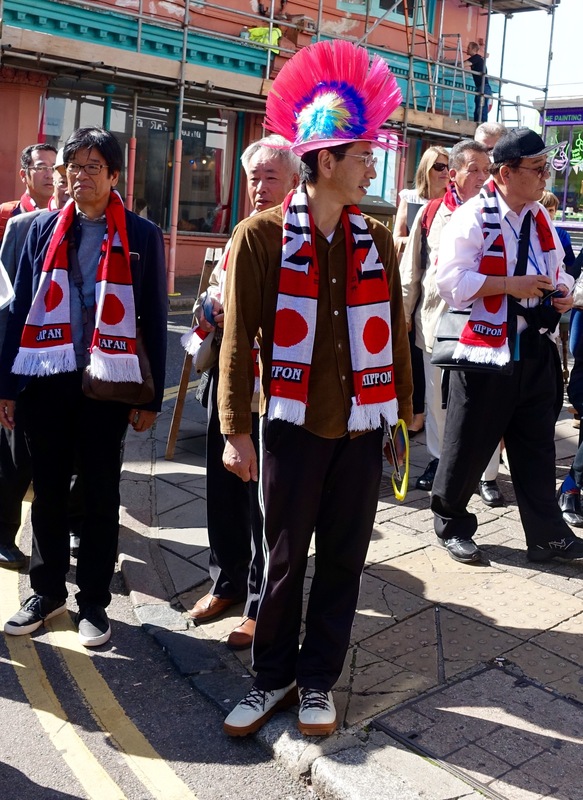 Brighton looked like Party Town UK this past weekend with two Rugby World Cup games, the Fiery Food Festival, the Costume Games and the well-timed Japan Festival. A Japan rugby fan on a Brighton street. The sun shone bright, the Japan rugby team pulled off the biggest rugby upset ever — at Brighton Community Stadium no less — and many costumed people showed up as their alter egos or maybe just as their fun-loving selves. And there was dancing, dancing in the streets. Many hen and stag parties for prospective brides and grooms, and there was a bit of drinking. OK, there was a lot of drinking. Our hotel was next to the famous Brighton Pier with its carnival rides, arcades and foods worthy of any state-fair midway. If all the World Cup venues can deliver this kind of weather and this kind of atmosphere, the next six weeks are going to be fun, fun, fun til Delta takes our luggage away — and us with it. 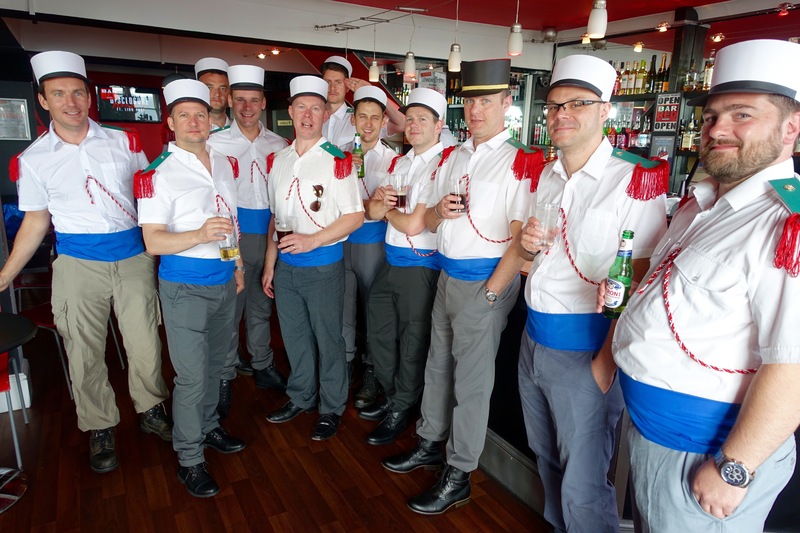 The Foreign Legion, or an approximation of it, showed up at our hotel bar. Posted on September 21, 2015 September 21, 2015 by jbsaulPosted in Sports, TravelTagged Brighton, Costume Games, Japan, Rugby World Cup, RWC. Seems like you’re getting close to having too much fun – thanks for sharing !